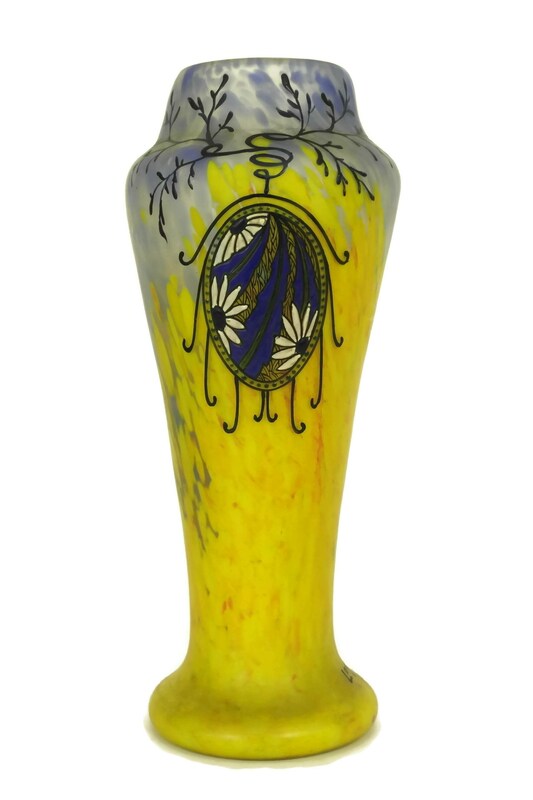 A beautiful antique Legras enameled glass vase from the Art Deco era. 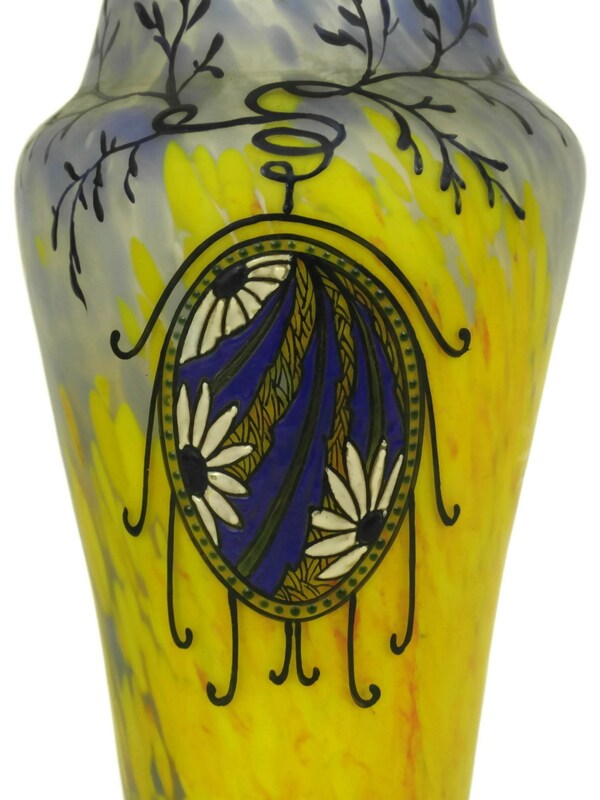 The flower vase features an elegant form with a wide neck and tapering base. 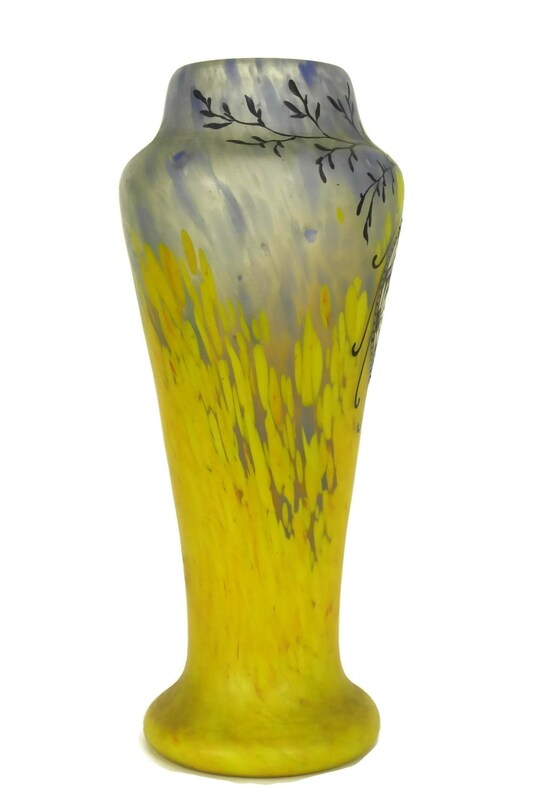 It has been decorated with a bold mottled yellow at the base and shades of blue at the top. 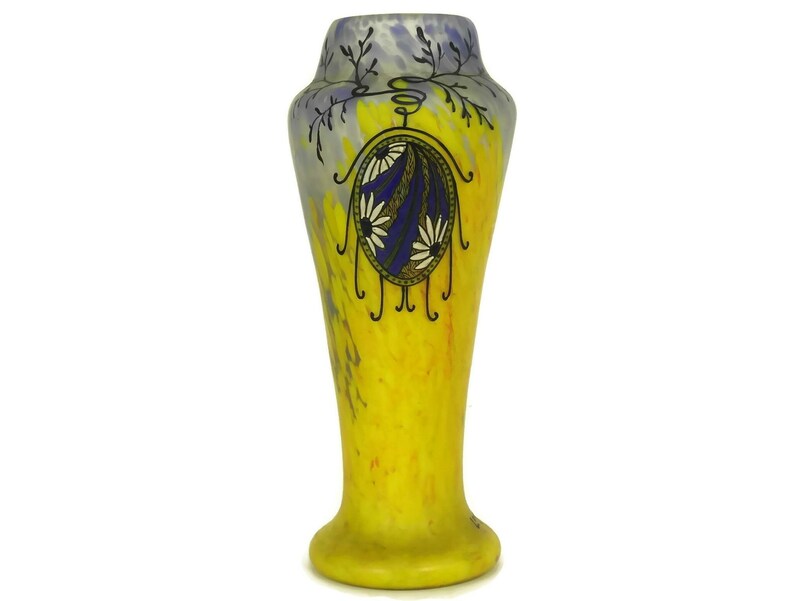 The front of the vase has a hand enameled medallion with daisy flowers and an ornate enameled tendril and scroll design around the neck. 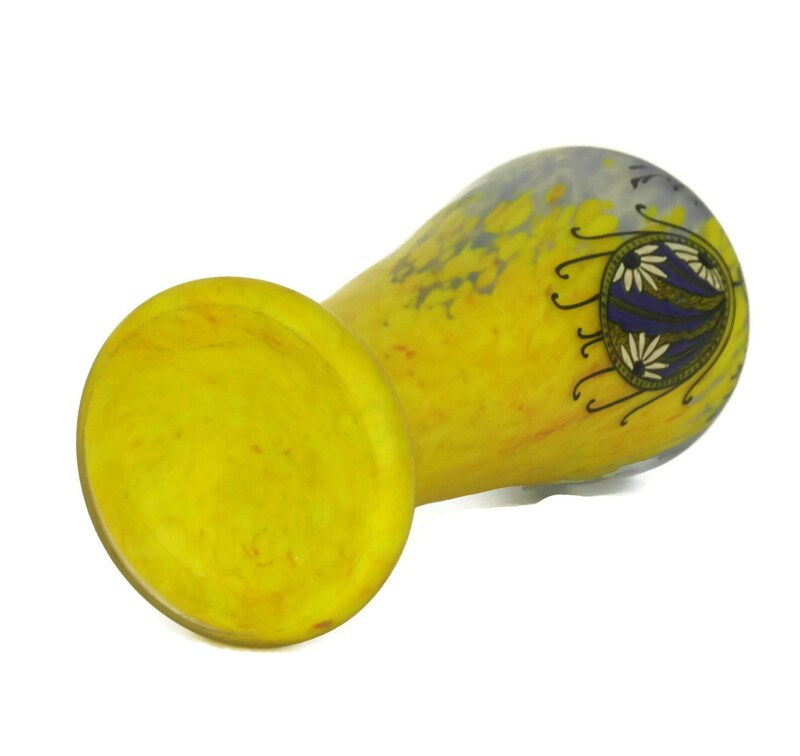 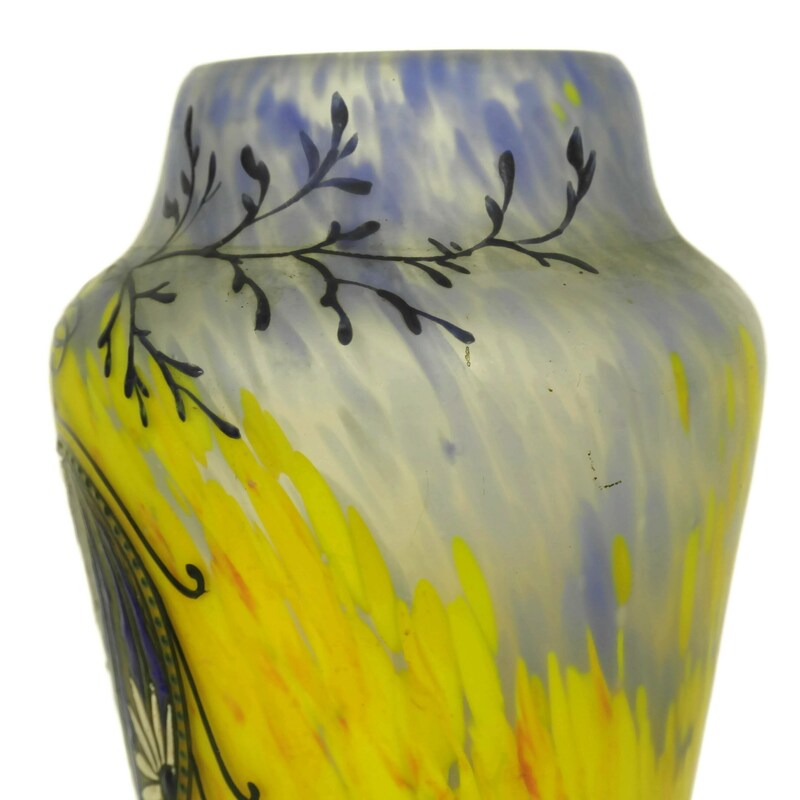 The art glass vase has been signed Legras in enamel on the lower side. 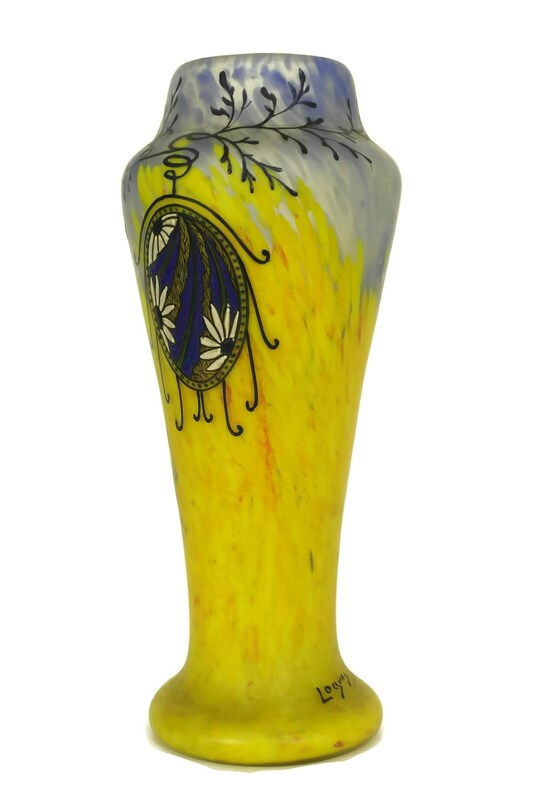 9" Tall x 3.5" Wide. 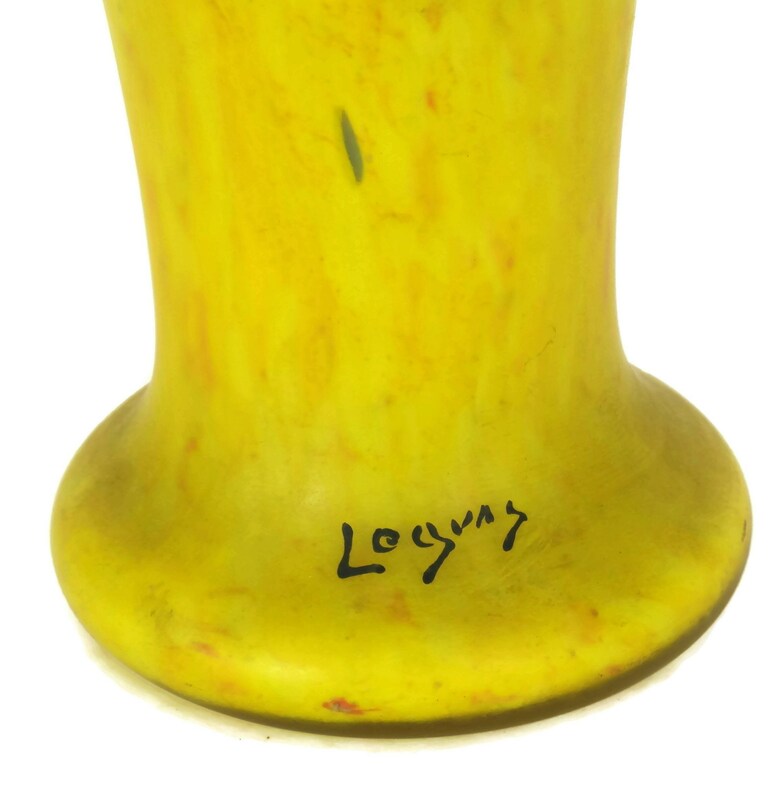 (23 cm x 9 cm). 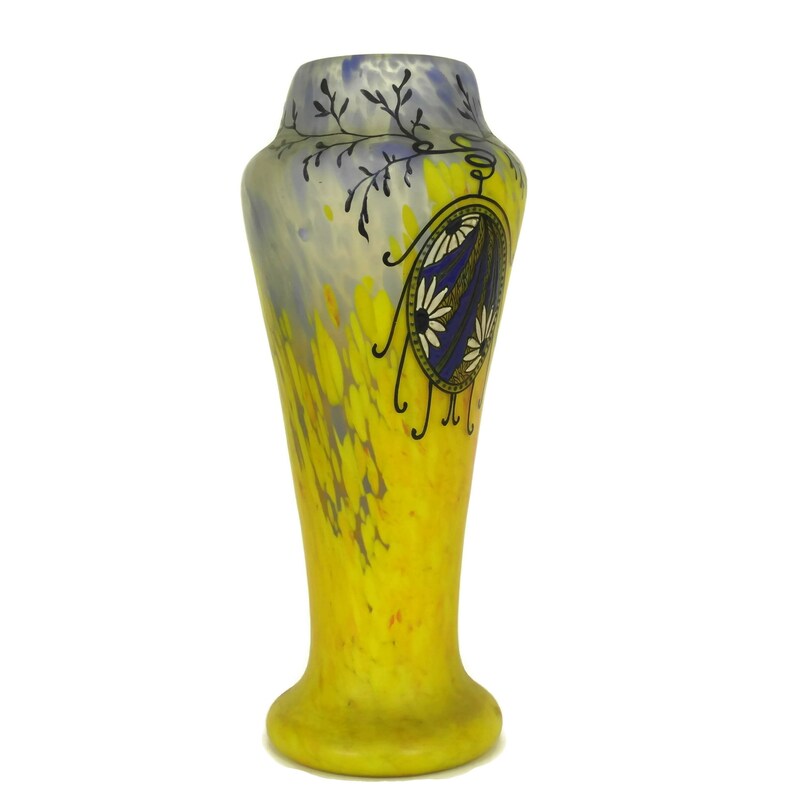 The antique Legras enamel glass vase is in excellent condition with light wear.